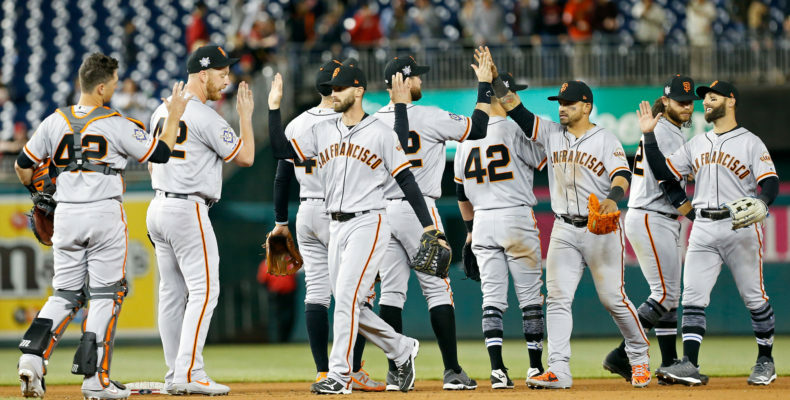 The San Francisco Giants celebrated Manager Bruce Bochy‘s 64th birthday in impressive fashion by beating the Washington Nationals, 7-3 in D.C. This wasn’t just a win. Matching their previous high for the most runs the Giants scored all year. The San Francisco baseballers wore their dinger shoes with homers by Evan Longoria, Steven Duggar and Mr 18th Inning, Brandon Belt. The best birthday gift a manager could ask for. A WIN. Belt’s blast was a laser beam that nearly put a hole in Nationals Park and may have ended up challenging the Higgs Boson for scintillation. Mr. Duggar’s shot was an opposite field line drive that refused to re-enter the atmosphere of the Washington outfield. Kevin Pillar had another run batted in. 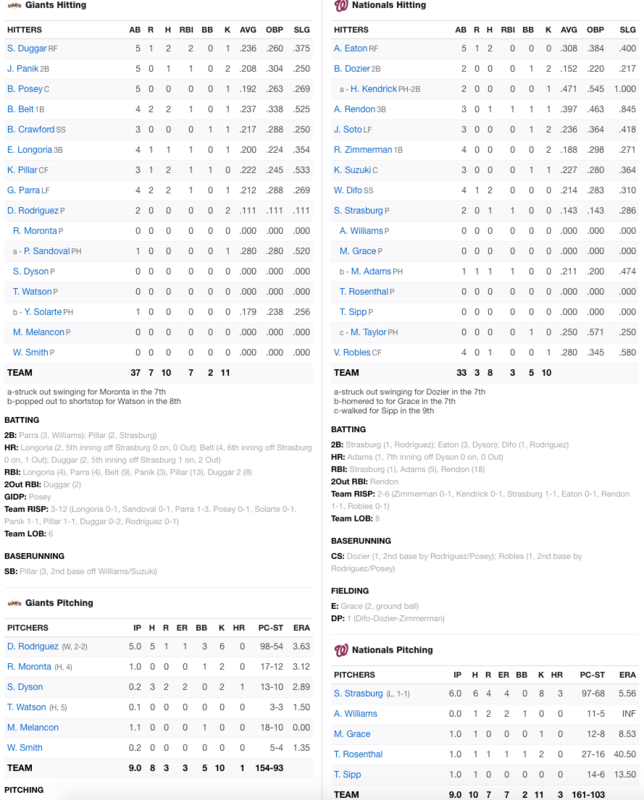 Belt, Pillar, Duggar and Gerardo Parra each had two hits. Dereck Rodriguez as not always sharp but allowed only a single run in five innings with six strikeouts and five hits. Mark Melancon pitched 1 1/3 innings of scoreless relief. He has pitched nine innings this year and has yet to give up a run. The Giants and Nationals honored Jackie Robinson Day one day after most of Major League Baseball, by wearing the legendary 42. I really love this tradition. It’s a fantastic way to commemorate an American hero. This was a great way to start an East Coast road trip. There was bad news yesterday as Joey Bart was hit by a pitch and will be out four to six weeks with a broken hand. This is a serious injury and one hopes the Giant Prodigy recovers fully with no issues. In tonight’s game Jeff Samardzia faces Jeremy Hellickson. First pitch is at 7:05 PM, Abraham Lincoln time.